Spencer Skipper has the smoothest and cleanest lines in the buisness. A longtime Hawaiian standout here he slides into a typical perfect Oahu barrel as photographer Stafford sat right in the spot to capture all the split second action. 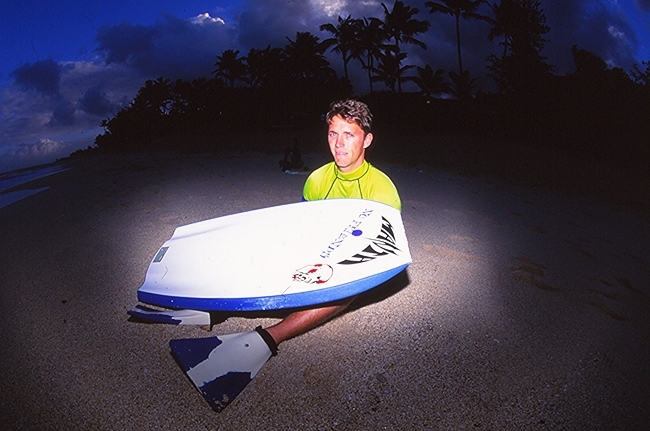 The image appeared on the cover of Bodyboarding Magazins in 2002.